Welcome Gamers! About Us at Gambling Gurus offers our visitors articles and reviews that inform novice online players as well as entertain the hard-core players. It’s a tough audience for sure. 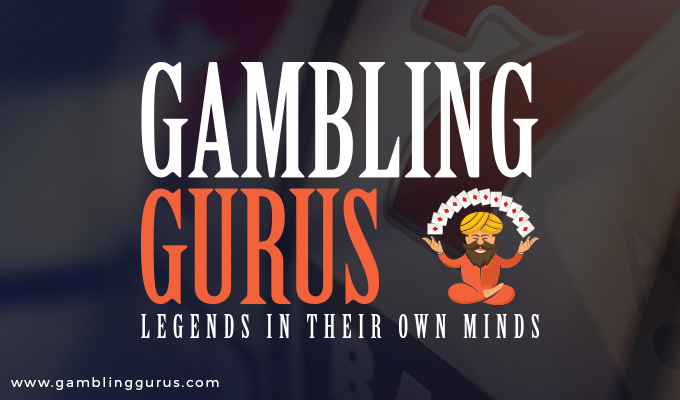 The GamblingGurus.com members work both in-house as well as freelance assignments. For the most part, our staff writers and reviewers work from their homes and/or offices that are located all around the world. Gambling Gurus focuses on providing our visitors with Gambling Information and News regarding Online Casinos. Online Casino Lists and Reviews, Entertainment News, USA Casinos, Vegas Articles & Reviews, Casino Bonus Info, Rogue Online Casino Listings; and the list goes on and on. Gambling Gurus is staffed by a small number of prolific writers, online and land-based casino reviewers, word wizards and several gaming veterans. Gambling Gurus publishes reviews on both new and existing online casinos. Our members test the casino’s facilities for support, deposit and withdrawal methods, withdrawal times and for what we believe to be game fairness. Our writers constantly evaluate through the never ending stream of online casinos available to online gamers. We publish content so that visitors get information about new games, casino bonuses, no-deposit bonuses, new terms and conditions, and about other informational material that we feel may be useful for release. Part of the Gambling Gurus focuses on keeping up with breaking news stories from around the online gaming world. Stories and reports are offered to our visitors through our site and by one or more of our feed streams that we run on the site. Online Casino News, Casino & Game Reviews and our visitors opinions are always welcomed here. We urge you to submit these thru email submission of your story. We also like to share some of our favorite stories and experiences of our Gambling Gurus trips. Many of us have taken a variety of trips to exotic casino locations around the Country. Most importantly we offer our visitors a well laid out Responsible Gambling Guide. We urge all our visitors to look it over. There is also a Guru Wisdom Section that you may find useful. GamblingGurus.com passes the Mobile-Friendly Test as you can see in our example screenshot below. This is one of many Online Casino pages at Gambling Gurus that are Mobile Friendly. Enjoy your time here at the Gambling Gurus and share your gambling stories, trips and Big Wins! We welcome you to join and share your thoughts and feed back on this exciting pastime we know as “online gambling”. *GamblingGurus.com also offers Media Advertising Space. All inquiries can be made by contacting us. Use our easy Contact Form and we will reply as soon as possible.